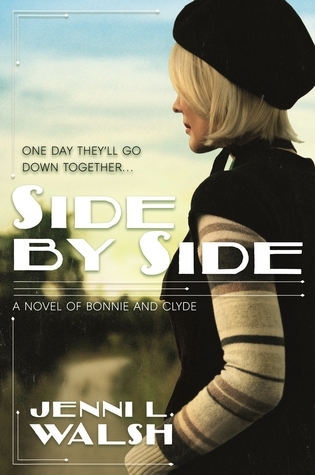 Side by Side begins with Becoming Bonnie and I highly recommend starting with that book first. 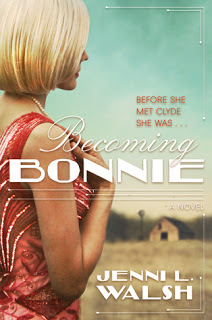 Becoming Bonnie introduces Bonnielyn Parker and gives a clear picture of who she is and what makes her tick. Side by Side begins as she is now known as just Bonnie not Bonnielyn (or Saint Bonnielyn - gotta read the story). 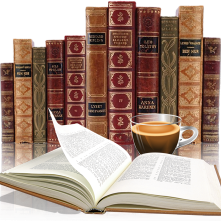 I love books that take me to another place and time, when you get a good sense of the time and era the characters are living through. Naturally when I finished reading, I googled and discovered that the author has drawn from the pages of history then she filled in the gap‘s nicely, capturing the way of life and feeling the toll of the Great Depression. Believe it or not Bonnie and Clyde had dreams for the future. Jenni L. Walsh's debut was Becoming Bonnie followed a year later with Side by Side (next week it hits book shelves) and I have to say how impressed I am with her writing. She has taken two historical figures and breathed life into them, she humanized them and while their crimes are terrible she was able to tell Bonnie's side of the story. I was totally engaged, the characters were well developed and she stayed true to history. I will definitely be on the lookout for more books by Jenni L. Walsh. I've not yet read Becoming Bonnie, but I want to. I'm glad to see you liked it well ennough to continue with the series.